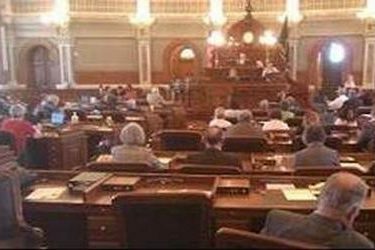 A budget shortfall that forced lawmakers to approve sales and cigarette taxes has been named the top Kansas story of 2015 by Associated Press reporters and editors. The Kansas City Royals’ first World Series championship since 1985 came in second, followed by Kansas gradually extending rights to gay couples after a series of court rulings. Coming in fourth was a judge sentencing an avowed anti-Semite to death for the fatal shootings of three people in April 2014 at Jewish sites in suburban Kansas City. Rounding out the top five, the Kansas Supreme Court in December unanimously struck down a law meant to reduce its administrative influence over lower courts. That set up a showdown with lawmakers who threatened to defund the state’s entire judiciary system if the law was overturned.